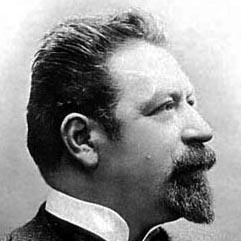 Francesco Tamagno was known as a strong clarion-like voice, a tenor who benefited from the disciplinary teachings of the “Italian old school voice lineage”. Tamagno created Otello under supervision of Giuseppe Verdi himself. Unfortunately, Tamagno’s vocal prime falls into a period where in recording of sound was not yet invented. In 1903 the reportedly sick Tamagno (53 years of age) recorded several aria’s with the primitive recording methods of the time. Some of the CD’s we can buy today of this recording session are issued with several takes of each aria. Reading up on Tamagno through reviews written during his vocal prime, one can still match a lot to what we can hear on the records. Tamagno’s voice, although obviously thinned out due to age and sickness, still shows a clarion-like quality and exceptionally easy delivery. The vowels are very clear, and despite age and sickness, the voice shows no signs of a wobble. Some detractors find the recorded voice too thin in tone, usually stating that the recording methods were too poor to allow us to know how Tamagno would sounded. That may very well be, but we are left at least with a good idea of his approach and style, and the characteristics that can be distilled from these recordings are impressive enough. The recordings reveal excellent interpretations, of which Niun mi tema is arguably one of the best. Tamagno was instructed by Verdi himself, and thus is the closest to Verdi’s wishes we have on record. Verdi reportedly urged Tamagno not to shout when singing Otello. And so we can hear that Tamagno sings Niun Mi tema with an exceptional legato. Many phrases have a subtle morendo ending, marking Otello’s remainder of glory. The exclamation on a Bb is sung in crescendo, to powerful effect. The last kiss that Otello demands, is sung in diminuendo, ending with an almost magical sigh, marking his death.